Build VoC strategy for meaningful results for any business. The trend of VoC (Voice of the Customer) is on a rise and businesses (especially the startups) are in a rush to implement it as soon as possible. However, this temptation to adopt the VoC trend is not correct. Businesses need to understand that only collecting feedback from customers is not what involves VoC. There is much more to it. 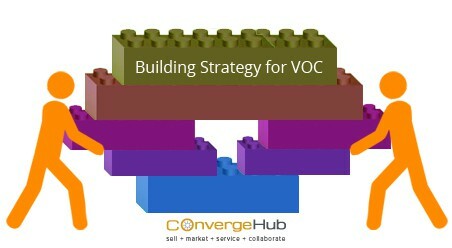 How they plan to implement the VoC strategy? What actions will be taken out of the data collected from the VoC program? In short, businesses need to have a robust and well-planned VoC strategy. And just in case you wonder how to build a VoC strategy – what we have for you below are SIX essential elements suggested by Neil Davey (Editor of My Customer Blog Forum). Read about these elements in detail and include them in your VoC strategy. There is no point in implementing the VoC strategy if there is no objective attached with it. Hence, it is important that you make the VoC program a part of your company’s future goals. This ideally needs to be done right at the start, before the customer feedback data starts flowing in from all corners. Doing this will ensure that you have a clear picture of the issues that you would like to address through the VoC program. 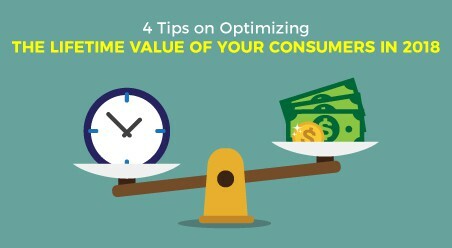 Example: If increasing revenue is what tops your priority list – you can build a VoC program more inclined towards improving your organizational revenue. 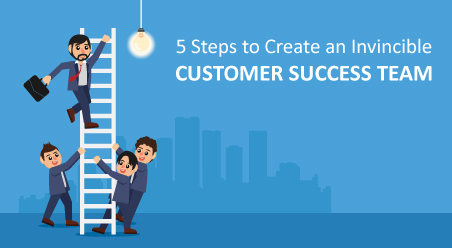 While many businesses implement Voice of the Customer program, success ratio is very less. Businesses are not exactly clear about: what is Voice of the Customer (VoC)? Absence of a dedicated VoC team. It is observed that more than the majority of businesses have multiple teams handling VoC. Separately, they capture customer feedback across different touchpoints. However, this approach is not correct because it leads to a siloed VoC program. Example: Customer feedback garnered by the marketing team remains only within them. The marketing agents do not share the valuable insight with others. In this way while the individual team of marketing benefits, sales and customer service teams remain where they are. They do not get to know about the crucial customer feedback. That is precisely why it is imperative for you to have a centralized VoC team, instead of multiple ones. 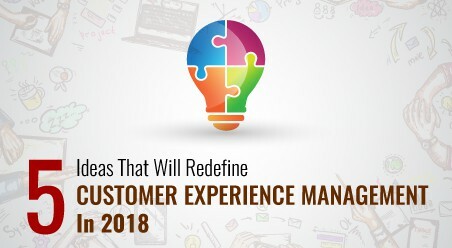 With one single team responsible for listening, analysis and reporting of customer feedback, actionable insights will be implemented across the business. 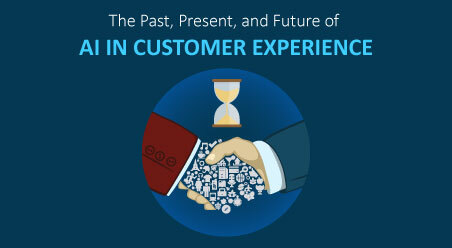 The problem of customer insights only getting leveraged by a particular process will be removed permanently. In fact, surveys also show that businesses who have one VoC team enjoy faster benefits because it drives change across the departments. In order to gain deeper insight into customers’ needs and preferences, businesses are now over-surveying their customers. They are either putting the same questionnaire in front of the customers or asking questions on those areas that they do not plan to work upon. Needless to say this a big turn-off for customers! It is a result of this wrong attitude of businesses that customers have become hesitant about participating in feedback forums, because they really do not see these responses getting implemented in anyway. Actions to be taken on the survey results. In the survey itself, demonstrate the activity planned with the customers’ responses. Then only will the customers see the real worth in sharing their experiences, feedbacks and preferences with your VoC team. Examine data to identify the key areas of improvement. Based on which, plan the impending actions that will drive change in your business. Instead of following the run-of-the-mill strategies, brainstorm to come up with creative ways. Tip: Encourage your employees to think of new ways in which you can implement the customer feedbacks. Make it a mix and match of old and new strategies with regular reporting on their implementation. There are VoC software vendors up to the brim. So you have a multitude of choices, when it comes to implementing VoC systems. But are all of them actually needed? Several cases have been reported where businesses have invested tons of money and effort on fancy VoC systems that they did not required at all. To avoid making any such similar mistake, be careful of the VoC system that you choose. Example: VoC systems that capture social media data can seem very attractive to use. But do you really need it? Do your customers talk about your brand socially? If yes, then it is an ideal solution for you. Otherwise, does it make sense to invest in this social VoC system? To gain from the VoC program, it is important to combine customer feedback generated across different departments. And this is precisely where CRM software comes into the picture. Use a modern all-in-one CRM tool that empowers you to compile sales, marketing and customer service data together. 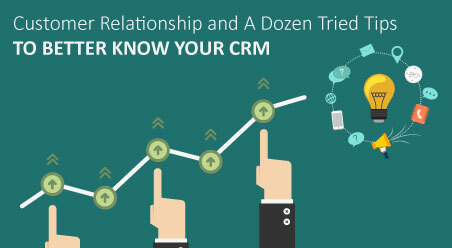 So what you get from the CRM is a coherent view of the customers’ opinions, needs and preferences about your business. Isn’t this great? Without much effort, CRM provides you a 360-degree view on what your customers have spoken about your business and its product/service. 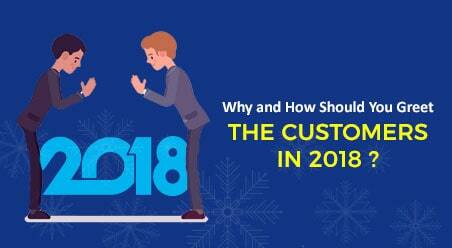 Based on these insights, you can quickly take the necessary follow-up actions to improve your customer service. So to summarize, the above-mentioned six elements are the basis of a successful VoC program. Is your VoC strategy based upon these elements? What other elements do you think can be added to this list? Feel free to share them with us below.